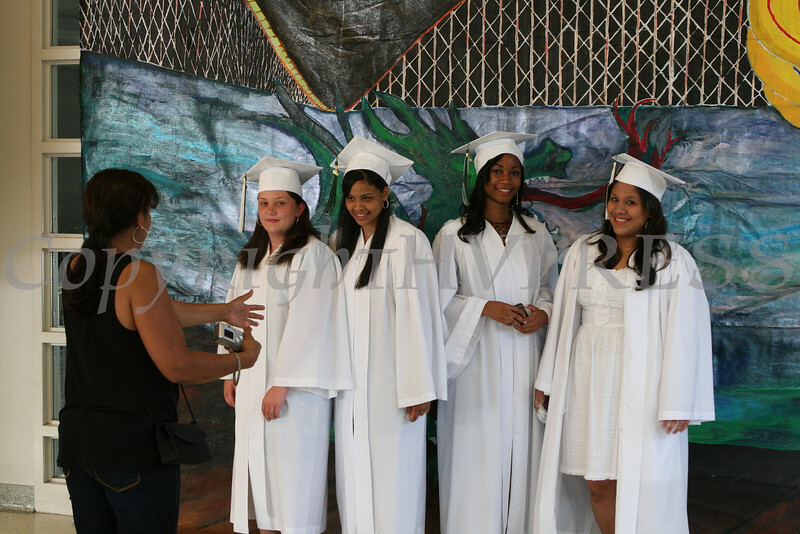 Cornwall High School graduates Kristen Kull, Lydia Cruz, Taylor Byron and Kristyn Guerrero are arranged for a picture by Rosa Cruz prior to the 56th Annual Commencement on Friday, June 25, 2010 in Cornwall, NY. General David H. Petraeus gave the keynote address. Hudson Valley Press/CHUCK STEWART, JR.